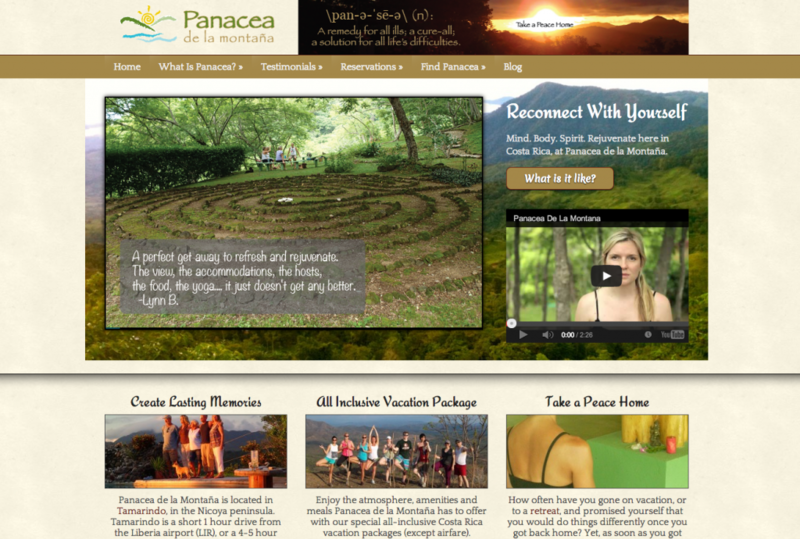 Panacea de la Montaña is an all-inclusive resort in Costa Rica, offering daily yoga classes at their tropical getaway. They had an old HTML website that was infected with malware, and their WordPress.com blog was giving them no SEO boosts, because they were blogging on a completely different domain. I imported the WordPress blog and integrated it with their brand new WordPress website, built on the Genesis platform. This powerful theme framework is built to make SEO easy. Already panaceacr.com is dominating the keyword sets that we are targeting, and we are seeing increased traffic from the new website design. In addition to a new website, ebook, and newsletter autoresponder, they also needed a way to collect a deposit downpayment securely online. Using Gravity Forms, I created an intake form that serves as an inquiry form or a reservation form, depending on how the user fills out the form. This flexible plugin also processes payments securely through Paypal, giving the owners an easy way to bring money into Costa Rica from anywhere around the globe.